The post Social Media Integration appeared first on SEO Mark. The post Improving The Your Site’s Load Time appeared first on SEO Mark. Do a quick search on the internet and you will find plenty of opinions, many contradictory, about search engine optimization. Myths abound, and it can be difficult to determine exactly what is required to get one’s site successfully ranked. This brief article will dispel 4 persistent myths about SEO and hopefully convince you that it is not as complicated as it may seem. 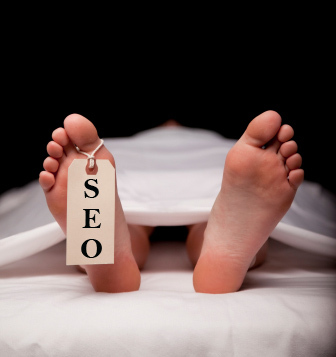 One of the most pervasive of these myths is that search engine optimization is hard. While it isn’t technically hard, it can certainly be tedious and time-consuming. Link-building for example is very straightforward, but does take time and an organized, diligent approach. Link-building in fact brings up another myth, namely, that getting a site ranked is about having tons and tons of links. Not so; these days the key is to focus on quality over quantity. Concentrate on getting good quality links from reputable sites in your niche to build authority for your own site. This can of course take time, which brings us to myth no. 3: that it takes a long time to get a site or page ranked. This isn’t necessarily true, it depends on the competitiveness of the keyword you’re targeting. True, it can take months to rank a site for a competitive keyword, but it’s certainly possible to rank quite quickly (in weeks or even days) for less competitive ones. Finally, there’s a persistent myth that no-follow links don’t have any value. Again, not true. They don’t have as much value as do-follow links, but that doesn’t mean they are completely worthless. A no-follow link from a relevant, high-authority site in your niche will still be recognized by the search engines and is very much worth having. Overall, the key to good rankings is to simply give the search engines what they want, which is quality, relevant content that satisfies their users needs. As a content provider, as long as you help them do this, they will reward you with those much-coveted high rankings. For More SEO Tips Visit Sydney Search Results’ website.